We first learned that Grand Marais’ Gun Flint Tavern when Derek initially wrote about it back in August of 2013. Now, a short year and some months later, the north shore tavern turned brewpub is ready to pour you a Minnesota craft beer. Brewer Paul Gecas answers our questions, giving us an idea of what to expect when the Gun Flint Tavern & Brewpub opens this Friday, Dec 5th, at 5pm. Gun Flint Tavern has been known as an outpost good beer for some time. Why the change to make a brewery? 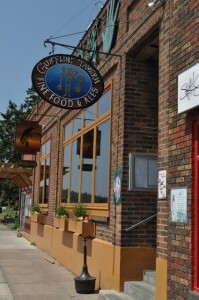 Paul Gecas: The process of turning the Gun Flint Tavern into a brewpub was always in owner Jeff Gecas’ plans, he has been dedicated to serving good craft beer with as much focus on MN brewed beer as possible since we opened in 1998. Jeff was adamant about not having any ‘big’ beer on tap right from the start. With that philosophy, the move to create a brewpub really fit the atmosphere of the Gun Flint Tavern. 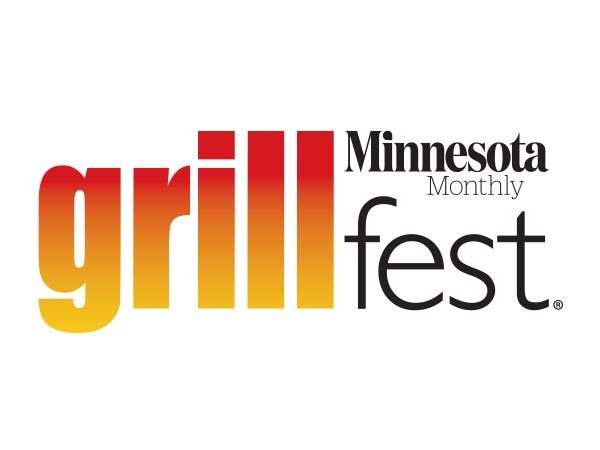 I think it also really meshes with the identity of Grand Marais, with the focus towards local sourcing, and our communities’ appreciation for handcrafted and artistic products. How large is the operation? Our system comes in at just under five Bbls capacity. 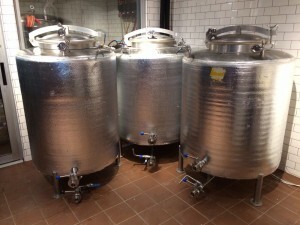 We currently have three fermenters and five serving vessels (one of which is a ten Bbl.) We don’t know what to expect in terms of production, except that summer will be much busier than winter. I’m optimistically hoping for 200 Bbls in our first year, but it is definitely going to be a case of testing the waters. What kind of investment does it take to start an operation like this? This must have been an expensive project. How long did it take from concept to completion? For overall investment and time it took for this type of project the numbers will always be pretty high. We had to completely renovate the space the brewhouse is in, from walls and doors to floor drains to ventilation to electricity–everything had to be updated. We got a good deal on some quality used equipment, but even with that we had to upgrade, weld, plumb together, and get completely new fittings. It’s been a long two year project. What was the biggest hurdle? For me personally, one of the bigger challenges has been the constant trial and error relationship I’ve had with the equipment. After troubleshooting any specific problem and working out a reasonable solution something else would go wrong in the process and I would have to re-do everything. It has been a constant back and forth with the equipment and it has been a huge learning curve, but I suppose I am pretty in tune with our brewhouse because of it. What do you know now that wish you wish you knew at the start? Looking back, I wish the timing had worked out for me to get more formal training or experience before I started. When Jeff brought up the idea of involving me I jumped at the opportunity, and I was grateful to have some time to intern at a handful of places, but I know that having a lengthier time to work at an established facility would have really gone a long way. What kind of beer can we expect to see coming out of the facility? Initially we are playing around with some different recipes that I’ve been working on, but more and more (especially with seasonals) I’d like to use indigenous ingredients to capture the geographical identity we have on the North Shore and to reflect that vibe in our beer. Brewpubs provide a great blank slate to work with: small batch emphasis, adventurous audience, plenty of experimentation. I’m looking forward to that creative aspect. Is there a “Flagship” beer that will be regular staple? 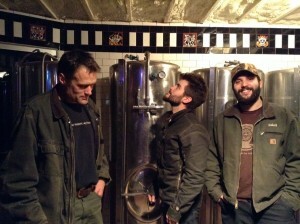 We do have an initial flagship: Sawtooth Mountain Pale Ale, a hoppier pale, but not too aggressive for lighter palates. As we settle into some other recipes we will likely add one to two more flagships as well. Who makes up the brew team? Any professional training or education? I’m the only brewer right now, and while I was able to spend some well used time at the Thirsty Pagan learning the ropes, I have no formal education. I have been fascinated by the brewing culture and process though, so that I have studied it on my own. My father Greg has been home brewing for over thirty years, and he comes in to help when he can, and I consult him frequently. Why a brew pub instead of a brewery? From the owners perspective, a brewpub makes a lot of sense as it is housed in an already established restaurant. Also, similar to the idea of trying the local cuisine of the places you visit, when we travel we like to try the local beer, the beer that is being made right there. That opportunity had been lacking in Grand Marais, but now with our brewpub, and Voyageur Brewing opening a taproom soon, Grand Marais can become more of a craft beer destination. 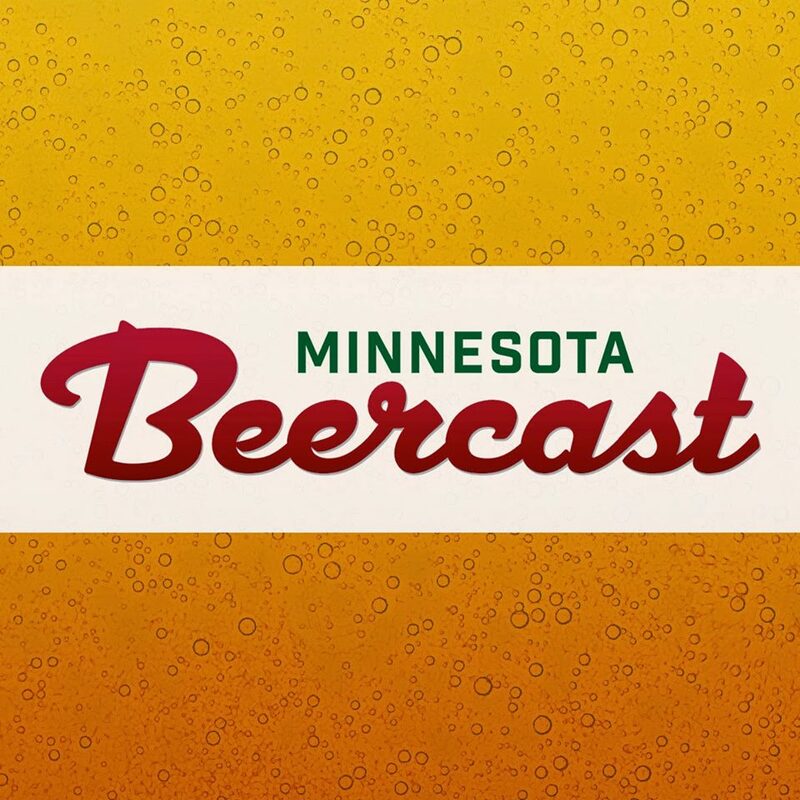 *For a more in depth interview listen the upcoming episode of The Minnesota BeerCast.